First Man Review – Eggplante! Damien Chazelle took the world by storm with his multiple award-winning musical-romance movie, La La Land back in late 2016, a movie that was all about dreaming big and damning the consequences. It seems to be a niche that’s working out quite well for the talented director, since Chazelle has once again set his sights on a big dream, perhaps one of the biggest in humanity’s history! First Man aims to provide a romanticized, but still very harrowing and reverent take on the story of Neil Armstrong, the first man to walk on the moon, an effort that also sees Chazelle re-teaming with his La La Land lead, Ryan Gosling in the central role, as one of the most well-known and celebrated astronauts in our history. 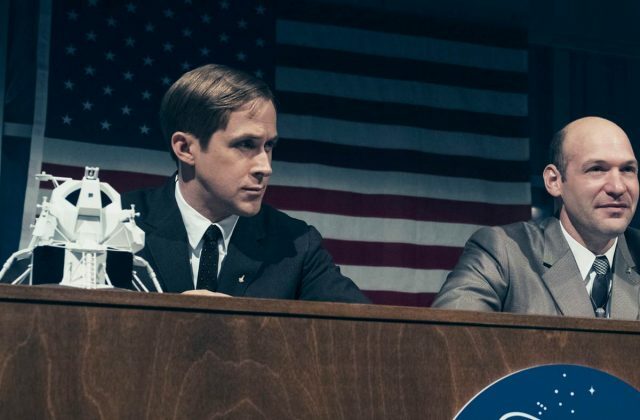 Balancing a flavour of blockbuster-friendly spectacle with a passionate sense of grounded human determination, First Man is more than just your average biopic as well. The movie especially leaps to life on an IMAX screen, which will bring viewers into the dizzying, harsh and unpredictable reality of primitive space travel, with the race to the moon once defining an entire generation so many decades ago. Spanning 1961 to 1969, First Man spends a lot of time digging through hardship, misery, distance and disappointment, but all in the name of getting just a little bit further, and a little bit higher. Like La La Land, there are some parts of First Man that are dark, crushing even, but the movie’s spirit never wavers, and so too can audiences lose themselves in a spectacle that feels both so distressing, and yet also so very beautiful. Gosling is easily one of the biggest and most emotional draws in First Man, representing the good, the bad and the ugly of a man with the weight of the world on his shoulders. Gosling’s portrayal of Neil Armstrong, the first man to walk on the moon, is not idealized, but is instead presented as a man who must consume himself with his mission, even to the detriment of being present for his family. 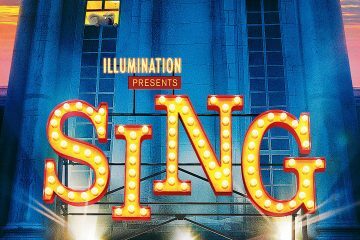 There’s almost an awkwardness, decidedly un-charismatic and sometimes downright rude, in the psychology of Armstrong in this movie, who is played as a perpetually worn-down, yet undeniably courageous family man that must try to move beyond what seemingly keeps him bound to Earth, at any cost. The resulting performance is something that Gosling perfectly fits as well, bringing some of the same character sensibilities that he utilized in La La Land, only now with a more starkly grounded presence, particularly since he’s now trying to inhabit the shoes of a real historical figure that has very real significance to American history in particular. Fortunately, Gosling is also nicely complemented by Claire Foy, portraying Armstrong’s hardy, headstrong wife, Janet, who must often entirely manage the home life that Armstrong seems so desperate to transcend. There’s an undeniable bit of tragedy to both Janet and her husband, and not just because the movie begins with the sudden death of their young daughter, Karen, a difficult ordeal that seems to provide just as much fuel for Armstrong’s mission as it does strain on his family. Like Armstrong himself, Janet is certainly not idealized, playing the role of a 1960’s-era housewife that must also contend with the scrutiny, hardship and fallout caused by her husband undertaking a history-making mission to the moon, which seems to constantly pull him away from everything and everyone else that should be considerably more important. 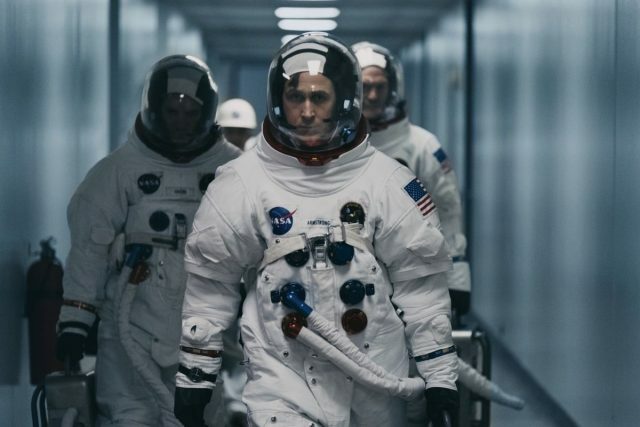 Many struggles within this personal, painstaking story driving the otherwise inspiring tale behind First Man are further compounded by a standout supporting cast. Corey Stoll, Jason Clarke, Pablo Schreiber, Kyle Chandler, Ciaran Hinds and many more recognizable faces all play the parts of real people that were a part of Armstrong’s mission to the moon in some form or another, representing the best and the worst of the very real human voices that dared to move beyond their station on Earth. It’s amazing just how well First Man is able to balance this sense of very real, very relatable human struggle, yet still wrap it around an experience with such a richly dreamy, romanticized result. 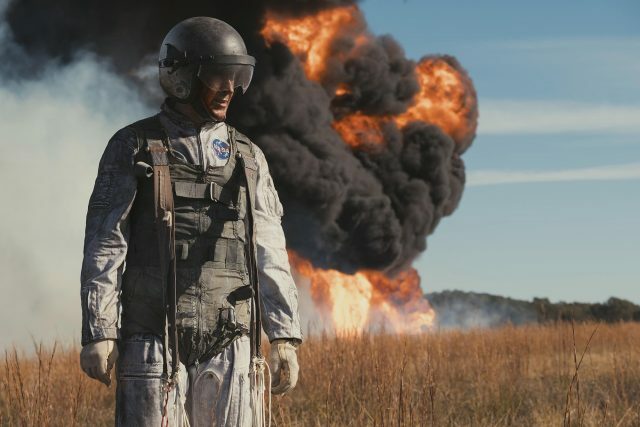 We know that the tragedy is temporary and the pain is not all-encompassing, since the whole point of First Man is to bring audiences into a very well-known success in human history, but the movie nonetheless benefits from audiences knowing that the mission to the moon will be successful, leaning into the fact that we know that the ultimate goal is attainable, and it’s just a matter of pushing through the bitter, uncompromising life challenges so that we can get to that cheerful bliss on the other end. First Man is lengthy and sometimes overbearing, especially when it clocks in at a pretty robust 141-minute runtime. 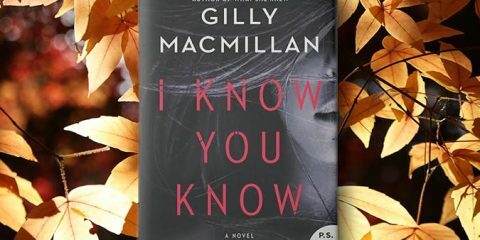 This lengthy progression might be expected to an extent, since First Man unfolds across eight years of history, but it is true that you sometimes have to have a high tolerance for brooding over and circling around the same strained human emotions on Earth. 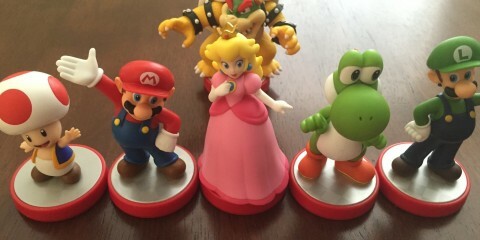 There’s just enough spectacular blockbuster moments to prevent audiences from losing their taste for the majesty of the movie’s journey, but there are also definitely some dull earthbound stretches that could have used a trimming. Chazelle is clearly doing everything in his power to play to the dramatic strengths of the actors realizing this story, particularly Gosling, who is definitely flexing his performing chops as much as he did in La La Land, only now with an extra dose of grief-stricken angst. 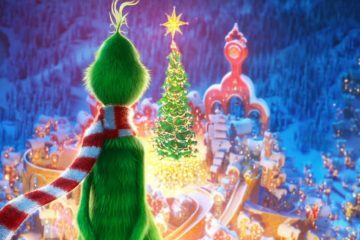 It’s often a predictably great showcase of so much talent, even if the movie sometimes could have used a better sense of balance between the spectacle and the drama. Even if it’s a little bloated and occasionally self-indulgent however, the plot behind First Man still hits many satisfying notes, and is still an especially powerful and memorable drama that is sure to stand as one of 2018’s cinematic highlights. This is despite the unfortunate controversy that the movie ended up caught up in, namely that it doesn’t showcase Armstrong and his fellow astronauts planting the American flag on the moon after they walk upon it (though the flag is shown as already being planted in another scene), and this is indeed accurate. As a Canadian myself, there is a part of me that does want to say that being particular about seeing the flag actually being planted when it’s already shown after the fact is basically arguing semantics, and this one tiny wrinkle definitely shouldn’t take away from all of the numerous other things that First Man does beautifully. On the other hand though, I do also feel that it’s a bit odd that the flag is sort of waved away in this manner, because it was Americans who landed on the moon first, and this was very much a display of American patriotism. If you’re not American, you probably won’t care about this issue at all, and if you are, I understand your potential frustration, though there is an entire plot that has nothing to do with the American flag planting, and has plenty of other pro-American sentiment throughout its lengthy runtime, so I’d advise you to bear that in mind. Damien Chazelle directs First Man both as an idealized dream and an uncompromising nightmare in equal measure. The actual scenes that portray the very real and very dangerous preparatory journey to walk on the moon are sobering and intense, especially as astronauts inevitably die during the failed tests and training, constantly probing at a world that once believed it would be impossible to realize any kind of space travel, particularly with the Russians seemingly always making greater strides in one of the most decisive efforts to secure victory in the Cold War. During the scenes where we do get those brief glimpses outside of the atmosphere however, First Man effectively calls back to the dreamy, surreal nirvana that Chazelle so potently created with La La Land, a world of light, life and infinite possibility. Chazelle is definitely a dreamer, and as a director, he remains one of the most powerful dreamers in Hollywood, bringing audiences effortlessly into his vision of humanity taking the next big step in the potential of our species. It’s when Chazelle is really allowed to embrace this larger-than-life presentation of outer space, presentation that makes you feel as insignificant as it does inspired, that First Man becomes something truly remarkable. Chazelle’s frequent fixation on the human element of the movie sometimes works to somewhat more mixed effect, since he’d clearly rather be playing with the romantic tapestry of Armstrong’s grand adventure than constantly circling around his grief and pain on the same notes, and yet, this is exactly what the script sometimes forces him to do. The effort to explore the humanity and grief behind the ever-challenged Armstrong is something that still hits more often than it misses though, matching the beauty of the destination with just as much heart on the journey. Chazelle reunites with La La Land composer, Justin Hurwitz for First Man, and this is very evident, since the flirty, dreamy tunes that complement the spacefaring sequences in particular would definitely feel right at home on the La La Land soundtrack, despite First Man being a period biopic that hosts a world of tonal difference from La La Land. When it comes to overall music compositions in the movie however, much of First Man is silent, both in space and on Earth, where the performances take center stage in a move to highlight the starkly realistic struggle of making it to the moon, and before the Russians do at that. 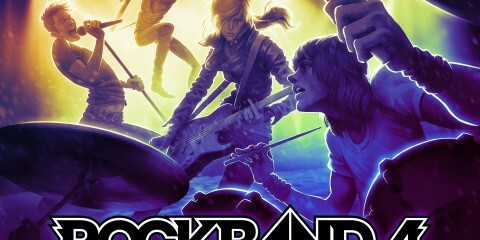 The admirable restraint of the soundtrack does allow the musical compositions to place themselves in select places for maximum effect though, allowing the otherwise suffocating tension a chance to relax and breathe, and allowing audiences to take in the majesty of what the characters have accomplished, even as it still seems accentuated by the ever-present frontiers that still lie ahead. That immersion definitely extends to the rest of the audio and sound mixing as well, where First Man is often at its most mighty and overwhelming. 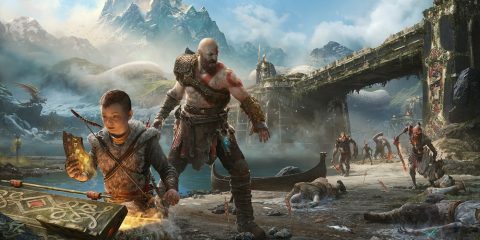 The IMAX cut especially can move between moments of quiet awe and almost deafening complications in an instant, creating an almost god-like sense of depth in the ultimate struggle of man-vs.-universe. First Man definitely begs to be experienced on the big screen, and preferably in IMAX at that, for this incredibly imposing, yet expertly engineered audio job, which manages to feel like the closest thing most of us will experience when it comes to actual space travel. 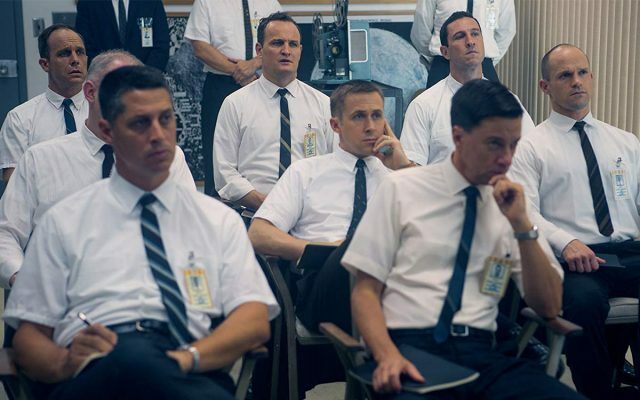 As much as First Man still aspires to be a grounded, respectful biopic first and foremost, it can’t be ignored as a technical tour de force either, with the audio presentation possibly being the strongest element of the entire movie, embracing both silence and deafening might in equal measure, as if the very air constantly threatens to be sucked from the theatre! First Man looks almost intentionally unremarkable when it’s languishing around Earth, beyond its predictably impeccable recreation of 1960’s-era technology and fashion anyway. The contrast is definitely intentional, with all of the visual prowess being saved for the sprawling and grand spacefaring sequences, which unfold with a crushing silence and an almost inconceivable sense of wonder. The beauty of these sequences is undeniable, particularly when the actual lunar sequences are filmed with IMAX cameras, making the IMAX cut of First Man worth the extra price of admission for these moments alone. It’s so fleetingly brief, much as Armstrong’s visit to the moon must have felt during our actual history in 1969, but First Man’s all-important lunar landing mission is a spectacle that ensures audiences will fall in love at first sight, with the predictable highlight of the movie definitely being the inevitable time during which Armstrong and his crew actually touch down on the lunar surface. The cinematography during these sequences is some of the best cinematography that you’ll experience in 2018, even if those with motion sickness or sensory issues might want to exercise some caution, since First Man definitely doesn’t pull punches with its challenging lunar descent, especially not in IMAX theatres! 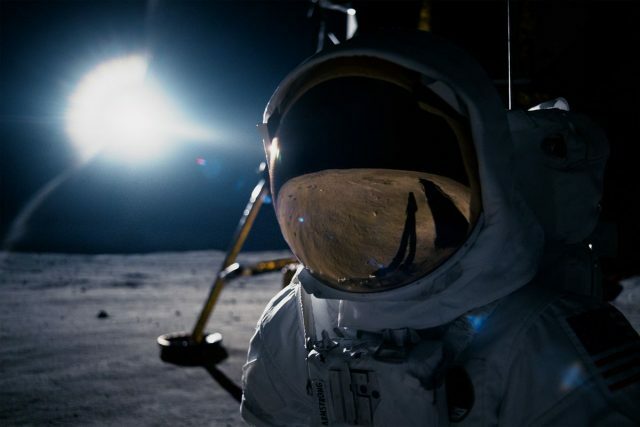 If you can handle the intense journey to the moon, both thematically and visually however, First Man is nothing short of dazzling during the handful of moments where it penetrates the planet’s atmosphere, with even the test flights serving as awe-inspiring crescendos to a very dramatic story, urging both the audience and the characters ever onward, as their ultimate destination grows closer with every moment, even as the journey there becomes ever more challenging at the same time! First Man is an emotionally charged, sometimes imposing and often overwhelming biopic about one of the most well-known faces of recent human history, but as much as it mostly succeeds as a heartfelt drama about grief and rising above defeat, its biggest strength lies in just how beautifully it replicates the feeling of a difficult, dangerous journey giving way to such an incredible, unbelievable reward. The indescribable beauty of Armstrong’s and his crew’s spacefaring successes is well worth slogging through some of the slower, less rewarding dramatic bits in the movie, which may even be there by design to some extent. Chazelle seems to want the audience to work towards the reward of the lunar journey as much as the characters have to, but the result of all of that hardship really is touching and powerful, the result of a movie that demands respect and patience on the part of the viewers, but is always keen to appropriately reward it. 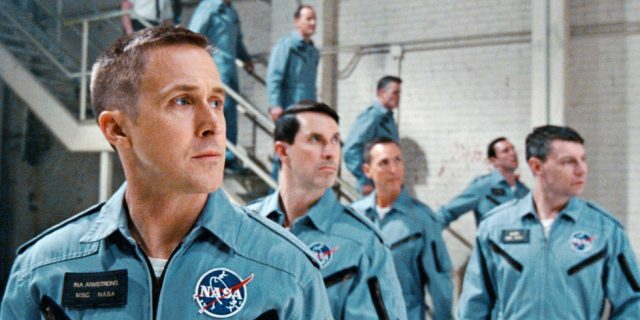 Regardless of how you personally feel about this movie’s portrayal of the history behind Neil Armstrong and the 1969 lunar landing, there’s no denying that First Man is another incredible testament to the sheer power and romance behind the art of great cinema, just as La La Land was before it. 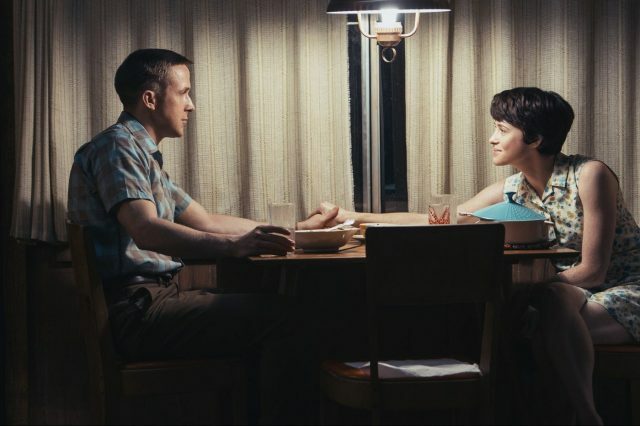 It simply must be experienced on the big screen by film enthusiasts, as well as anyone with even the slightest interest in the subject matter, and I suppose that includes avid fans of Ryan Gosling, since First Man is definitely a clear-cut vehicle meant to showcase his talents, despite his being complemented by a comparably excellent lead female performance from Claire Foy. If you have the means, the IMAX cut is definitely the way to go as well, where First Man is at its most mighty and impressive, adding a noticeable sense of heightened scale and commanding presence compared to conventional theatres. Even with all of its spectacle and humbling grace however, First Man still succeeds as a human story about the desire to be more and achieve more, rising above that which challenges and seemingly limits us. It’s an anthem for embracing infinite possibility and potential, and that we can achieve what may appear to be impossible, so long as we don’t lose faith in ourselves and what we can accomplish together. As much as big screen heroes keep becoming more larger-than-life and all-powerful with every passing year, it’s refreshing and satisfying to see that such an everyday, real-world story of heroic achievement can still resonate just as powerfully as our latest superhero blockbuster! First Man presents an occasionally challenging, but proudly human perspective on a gorgeous spectacle of human achievement, and in doing so, creates one of the most powerful cinematic experiences of the year!